The name Wilmar looms large in the Europe-Indonesia agrofuels picture. This Singapore-based company sells Indonesia-made biodiesel to Europe as well as selling oil palm feedstock for making biodiesel in Europe. This is a company that has been linked to a range of human rights and environmental problems dating back to 2005 at least. Most recently, four villagers have been injured by security guards at one of Wilmar’s Central Kalimantan concessions, in one of the long-running land conflicts involving the company. Wilmar’s poor record highlights why Europe should not be relying on Indonesian palm oil to fulfil its renewable fuel and energy commitments. Wilmar International is a global company which is involved in growing, milling, refining and trading oil palm and its various products. Wilmar is the world’s biggest palm oil trader – accounting for as much as 45% of globally traded palm oil. The company is also one of the biggest plantation owners in Indonesia and Malaysian Borneo. The total area planted with Wilmar oil palm is approximately 255,648 hectares, of which about 73% is located in Indonesia, 23% in Sabah and Sawarak in Malaysia and 4% in Africa. A further 41,407 ha of oil palm plantations in Indonesia are managed by Wilmar under Indonesia’s much-criticised small-holder ‘plasma’ scheme. This area is set to expand further: the company is reported to have a land bank of over 600,000 hectares, principally in Malaysia, Sumatra and Kalimantan. As well as being a dominant player in the supply side of the palm oil industry, the company also plays a major role in the downstream refining and manufacturing end of the business. In Europe, it operates refineries in the Netherlands and Germany, listing in its latest annual report a total of four refineries and one speciality fats plants in Europe. Wilmar is controlled by Indonesian and Singaporean businessmen, with representation on its board by Archer Daniels Midland (ADM) one of the world’s top commodities trading companies, and also listed among the top twenty shareholders of Wilmar. ADM and Wilmar have formed a strategic partnership, including tropical oils refining in Europe (sold and marketed through Olenex. C.V. based in Switzerland). Wilmar is also Indonesia’s biggest manufacturer of biodiesel – and the world’s biggest producer of biodiesel made from oil palm. In 2012, its production capacity stood at 2 million tonnes a year, from 7 refineries in Indonesia and one in Malaysia, though the production is estimated to be well below capacity. Wilmar does not state in its public reports where it sells its biodiesel, but it is clear from recent anti-dumping measures taken by the EU against Indonesian and Argentine biodiesel exporters that a substantial amount of Wilmar’s production is sold in Europe. In May this year, the EU announced punitive taxes to be imposed on imports from five Indonesian companies – including two Wilmar biodiesel producers PT Wilmar Nabati Indonesia and PT Wilmar Bioenergi. The companies were accused of selling subsidised biodiesel on the European market, with Wilmar receiving the highest level of punitive duty of the Indonesian companies, at 9.6%. In Indonesia, the EU anti-dumping action was greeted with dismay not least because it meant further uncertainty for Indonesian biodiesel producers (domestic demand for biodiesel remains weak). The EU is the main export destination for Indonesian biodiesel – accounting for almost 90% of exports by volume so far, according to the head of Indonesia’s biofuel association, Aprobi. Industry and government officials alike agree that demand is directly related to the EU renewable energy and fuel mandates. Indonesia is also a big player in terms of total biodiesel imports to the EU. According to research published by UFP/Ecofys, EU countries as a whole imported around 2.27 million tonnes of biodiesel in 2011 with 90 % of the imports coming from just two countries: Argentina and Indonesia. Indonesia’s share amounted to 895,000 tonnes. When these figures are compared to Indonesian government production and export figures it become clear too, that most of the biodiesel that Indonesia produces, let alone most of its exports, is sold in Europe. In 2011, for example, Indonesia produced just under 1.6 million tonnes (1,812,000kl) of biodiesel of which 80% or 1.28 million tonnes (1,453,000kl) was exported. Indonesia’s share of EU imports – 895,000 tonnes – represents 70% of exports, or just over half of total production for that year. it seems reasonable to assume that a substantial amount of biodiesel produced by Wilmar is being consumed in European countries. On top of this, Wilmar is named in research carried out by Proforest as a major supplier of raw materials for palm oil-based biodiesel manufacture within the EU. Again, there are no figures detailing the level of Wilmar’s contribution to palm feedstock used to make biodiesel by EU producers, but given Wilmar’s eminence in palm-oil trading, and its presence in Europe, and the fact that research shows a high level of dependency on palm oil imports for biodiesel generally in the EU, it is reasonable to assume the Wilmar plays a significant role here too. According to research by the Geneva-based International Institute for Sustainable Development (IISD) for Friends of the Earth Europe, EU imports of palm oil in 2012 amounted to 5.6 million -6.3million tonnes. The total amount used for biodiesel manufacture was 1.9 million tonnes, while another 0.6 million tonnes was used for electricity and heat generation. The IISD found that imports of palm oil for producing biodiesel had increased by a dramatic 365% between 2006 and 2012, from 402,000 tonnes in 2006 to 1.9 million tonnes in 2012. Of the total increase in palm oil imports during that period (around 1.9 million tonnes) 80% is attributable to the growth in biodiesel production, while a further 10% is accounted for by the growth in palm oil imports for heat and electricity generation. The remaining 10% is accounted for by other sectors, primarily the food sector. This indicates that the European agrofuel incentives are, as feared, promoting a hike in palm oil use. And this upward trajectory is likely to continue unless the EU’s biofuels directives are amended effectively. More demand in Europe for renewable fuels, it is clear, means more oil palm imports from Indonesia, which, in turn stimulates biodiesel and palm oil production in Indonesia, and promotes expansion of the oil palm sector in Indonesia. Wilmar is one of those fast-expanding companies – last year alone it expanded the planted area directly-managed by the company by 8,567 hectares and added a further 3,386 hectares to its smallholder plantation area, with most of the expansion happening in Indonesia. And palm oil from the company’s own plantations is only a small fraction of the volumes that Wilmar purchases from other companies. This part of the company’s business has expanded so rapidly that it now handles almost half of all the palm oil traded globally. So the question is, why not Wilmar? What are the implications of this company’s rapidly expanding plantations and palm oil purchases for Indonesian communities, and their lands and livelihoods? Where does the biodiesel end up? Looking at the Europe end of the business, the IISD research shows that among EU member states, the Netherlands, Germany, Italy, Spain, Finland and France were all substantial consumers for biodiesel production in 2012 (see table) and the first three of these also used palm oil for electricity and heat generation as well. The UK’s consumption, on the other hand, has actually reduced by 37% since 2006. The Netherlands is Europe’s largest importer of palm oil - indeed most of the EU imports of all types of edible oils, fats and oleochemicals enter Europe through the Dutch port of Rotterdam, where there are also several large refineries, including a 750,000 tonnes/year refinery operated by Wilmar. Wilmar was established in 1991 with a land bank of 7,100 hectares in Sumatra. 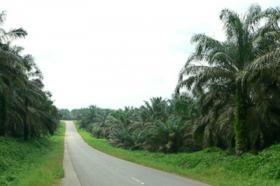 Since then it has grown rapidly into the world’s biggest oil palm trader. A major player on Singapore’s stock exchange, the company markets itself as Asia’s leading agribusiness group. Its all-male board of directors lists Singaporean and Indonesian businessmen, as well as ADM’s Juan Luciano. Martua Sitorus, Indonesian board member, and major shareholder of Wilmar, was seventh on Indonesia’s rich list, worth an estimated US$2 billion. He is also 736 on Forbes’ list of the world’s wealthiest. Research by Friends of the Earth International has highlighted the US and European financiers of Wilmar, including shareholders and banks that make loans to the company. These include: UK high-street banks Barclays and HSBC, PNB Parisbas and Credit Agricole (France), Deutsche Bank (Germany), APB and Rabobank (Netherlands) and Bank of America, J Morgan, Goldman Sachs, Citigroup and others in the US, as well as Canadian, Swiss and Belgian institutions. Wilmar’s operations and the widespread negative impacts of these on local communities in Indonesia, their resources and the environment in Indonesia have been the subject of sustained scrutiny and challenge by Indonesian and international NGOs for many years. Communities and CSOs have raised their concerns with the Roundtable on Sustainable Palm Oil (RSPO), of which Wilmar is a leading member. The aim has been to ensure that the company is held to account for failures to meet its commitments to qualify for RSPO supply chain ‘sustainable palm oil’ certification. Wilmar International has 9 current certifications listed on the RSPO website, while a further 14 certifications are listed as expired (including two for PT Wilmar Bioenergi Indonesia). Meanwhile, a whole series of formal complaints, led by Forest Peoples Programme (FPP) and Sawit Watch, has been directed at the World Bank’s private sector arm, the International Finance Corporation (IFC), from whom Wilmar has received substantial financial support. In this case, the IFC is accused of violating its investment principles by providing finance for Wilmar. Clearance of tropical peat and forests without legally required permits. The West Kalimantan subsidiaries, PT Wilmar Sambas Plantation (WSP), Buluh Cawang Plantation (BCP) and Agro Nusa Investama (ANI) violated Wilmar's own corporate social responsibility policy, Indonesian law and the Principles and Criteria of the RSPO, to which Wilmar has belonged since 2005. Local communities affected by Wilmar's plantations demanded that the company halt operations on the ground while proper and thorough EIAs were conducted and that there should be a transparent consultation process to gain the communities' consent for land acquisition. In spite of concerns raised by NGOs about Wilmar's operations, the IFC made three investments to the group and helped it to get funds through the Global Environmental Facility. In so doing, it did not carry out proper due diligence and disregarded IFC Performance Standards while wrongly claiming that Wilmar met RSPO standards.The environment ministry had issued instructions in April 2007 to PT WSP and BCP to stop all operations until the EIA had been completed and approved, but these were ignored. PT ANI continued to operate a processing mill and to expand its plantation without an EIA for these. Based on that complaint, dispute resolution procedures with just two of the impacted communities, Senujuh and Saginang Kecil in Sambas, were mediated by the CAO, and set some good precedents, although some problems are still being addressed on the ground. Riau and Jambi: a second complaint was lodged on 19th December 2008 when NGOs learned that the IFC was providing further support for Wilmar without due diligence. The complaint listed 19 other problematic Wilmar operations and urged that the CAO/IFC deal with the systemic problems in Wilmar’s supply chain. However, the CAO/IFC chose instead to address only a few specific cases. Progress was made in one of the two cases raised, where the CAO set up mediation processes, namely PT Citra Riau, in relation to the community of Pangean in Riau. However, in the other case, PT Asiatic Persada, in Jambi, serious problems persist between the Batin Sembilan communities and the company. The company, once owned by the private sector investment arm of the UK overseas aid agency (CDC), was identified as having caused the longest lasting conflicts of oil palm companies operating in Jambi province. In August 2011, attempts to evict local community from their Sungai Beruang territory led to 80 homes being destroyed by the special forced police (Brimob) and one local person was shot with a rubber bullet. This was the subject of a third complaint to the CAO. In October 2013, a number of Batin Sembilan indigenous communities affected by Asiatic Persada’s operations called on the Governor of Jambi province to immediately revoke the company’s HGU (business use permit), due to the ongoing hardships they had suffered and total lack of benefits derived from the company’s presence. Mediation efforts facilitated by the CAO had stalled following the sale of Asiatic Persada by Wilmar to PT Agro Mandiri Semesta of the Ganda Group, with no prior consultation with the affected communities, and while mediation was underway. The number of conflicts with communities and the regularity with which problems arise, points to the systemic problems associated with Wilmar’s operations, as highlighted in a letter to the IFC’s Compliance Advisory Ombudsman (CAO) in March last year, signed by FPP, Sawit Watch and eight other Indonesian and international CSOs. The letter noted reports of serious problems in many Wilmar operations – over and above the specific cases taken up with the CAO listed below. These included land disputes or other local community grievances across a whole raft of Wilmar subsidiaries noted since 2007. The letter notes a previous request, in 2011, which urged the CAO to carry out a wider review of Wilmar’s operations as they relate to land acquisition and dispute resolution, and to ensure that the company adopts effective measures to systematically address land conflicts in its concessions in line with international human rights standards, the IFC Performance Standards and the Principles and Criteria of the RSPO. The 2012 letter also noted that Wilmar is obliged to apply the IFC standards to its full supply chain, including suppliers which are not Wilmar subsidiaries, from which at least 70% and possibly as much as 90% of its palm oil is sourced. Other cases of complaints against Wilmar brought in Indonesia as well as in Nigeria and Uganda are listed by Friends of the Earth. Reports of conflicts related to Wilmar continue to reach the media, most recently in Central Kalimantan. Here, four villagers were injured by security guards at Wilmar’s PT Bumi Sawit Kencana plantation in Kotawaringin Timur district in July 2013. The guards allegedly hit several residents of Pantap village and damaged their motorbikes. The villagers had been protesting against the company’s digging of a ditch on land claimed by the villagers. Mongabay Indonesia reported that after this incident, the protesters fled to their village, told other villagers and then returned to the site, where they found guards arming themselves with homemade guns. The villagers burned two company security posts and damaged two trucks and a car belonging to the company. Four people were injured in this clash and a motorbike belonging to a villager was destroyed. The report stated that both sides have since agreed a peace deal, but fears remain that the conflict will persist unless the roots of the longstanding problems are resolved. According to WALHI Central Kalimantan, the conflict is just one of many in the area related to community land being seized for concessions, none of which have been resolved. Mongabay Indonesia has listed the names of eighteen Wilmar subsidiaries in Central Kalimantan province, which cover a total of 276,920 hectares, including planted areas as well as land bank areas that have not yet been planted with crops. The process of land acquisition followed by another Wilmar subsidiary, PT Mustika Sembuluh, has been investigated in detail by a consortium of CSOs. This concession in Central Kalimantan was among the first to receive RSPO certification after an assessment by PT TUV Rheinland in 2009. The 2012 study by CSOs on the right to Free, Prior and Informed Consent in the PT Mustika Sembuluh concession, sought to establish whether some of the problems raised in the assessment had been addressed by the company. These included ongoing land disputes over destroyed graveyards, lack of identification and documented agreements between the company and local communities concerning their traditional rights and use of the land, lack of monitoring and surveillance of High Conservation Value (HCV) areas, and lack of regular monitoring and management of social impacts; all of which are required under RSPO certification criteria. The study found that many of the problems faced by communities persisted more than two years after the plantation was certified as sustainable and despite PT TUV’s closure of the major non-conformance issues upon verification in December 2009. These related to enclaved land, pollution of the local rivers, HCVs and conflict resolution & mediation. There were also problems with communities being promised ‘plasma’ plantation land and not receiving anything like the legally required minimum share of land, plus illegal planting of palms close to rivers, lakes and streams, hampering community access to these resources. In Papua: Wilmar is also involved in the much-criticised MIFEE project in Papua. While not in the oil palm sector, this investment has raised the same concerns about the land acquisition process and potential impacts on communities. Wilmar subsidiary PT Anugrah Rejeki Nusantara (ARN) is seeking to acquire land for a sugarcane plantation in Baad village, Merauke. Here, local communities are facing pressure to hand over their customary lands for minimal compensation and very poor prospects of gaining any benefits. After seeing the devastating impact of MIFEE in the neighbouring village of Zanegi, where starvation and poverty have resulted from land acquisition by the Medco Group for an industrial timber plantation, villagers in Baad are thinking twice about releasing their land. This was documented by the NGOs FPP and Pusaka whose staff visited the area earlier this year. As the latest conflict in Central Kalimantan demonstrates, current safeguards against corporate abuse of communities in Indonesia are not working. Neither can the EU assure its citizens that the biofuels fuelling transport, or generating heat and electricity in their countries are produced in anything like an environmentally and socially sustainable manner. Companies like Wilmar are profiting from policies aimed at reducing Europe’s carbon emissions at the expense of communities and climate. The science has informed us that the policies are not fit for purpose, and civil society organisations in Indonesia are calling on the EU to say no to biofuels from palm oil. The higher the cap on palm oil use, the bigger the problems on the ground in Indonesia, they say. The EU needs to take responsibility for the damage done, and cut palm oil, along with all other damaging land-based biofuel feedstocks from its transport fuel and energy mix. These biodiesel producers were named alongside Wilmar in the EU anti-dumping investigation. Subsidiary of First Resources Lt, Singapore. Capacity: 250,000t/year. The Group has a refinery and fractionation plant located in Dumai, Riau province, near Dumai port and easily accessible from its existing palm oil mills. The biodiesel plant enables the Group to produce palm-based biodiesel, using Stearin as a feedstock. All plantations are based in Riau, and East and West Kalimantan provinces. With more than 146,000 hectares planted and a “sizeable landbank for ongoing new plantings”, the group claims to occupy a leading position in the Indonesian oil palm industry. Twelve existing mills have a total processing capacity of 4,050,000 tonnes of fresh fruit bunches (FFB) per annum. In FY2012, the company produced 525,831 tonnes of CPO. Its 2011 sustainability report, the company specifically mentions the EU’s RED directive as an opportunity to sell biodiesel. to produce certi­fied sustainable biofuel to meet the growing global demand for environmentally-friendly energy. 420,000t/yr capacity, according to ESDM. According to Profundo, 2009, in 2007 Musim Mas opened its first biodiesel plant in Medan, with an annual capacity of 200,000 tonnes. A second plant on Bangka island, with an annual capacity of 350,000 tonnes, was under construction. According to latest report to the RSPO, the company’s plantations are in Riau, West Kalimantan, with 24,011 ha planted, plus 1,683 ha smallholder estates. Permata Hijau Group, based in Medan, North Sumatra. Biodiesel plant in Dumai, Riau. Capacity 200,000t/yr. Listed as processors and traders by the RSPO (the company is a member). Latest RSPO report: no certified products yet, but aiming towards 100% certification. The makers of familiar consumer products such as Oreo biscuits, Gillette shaving products and Clearasil that source their palm oil through Wilmar are making consumers unwitting accomplices in the destruction of Indonesia’s forests, and pushing critically endangered species like the Sumatran tiger to the edge of extinction, according to Greenpeace. The organisation’s report, Licence to Kill, published in October, reports the results of investigations into Wilmar-linked plantations in Sumatra, which found the company was linked to deep peatland fires in oil palm concessions; wholesale rainforest destruction and illegal oil palm plantations within the Tesso Nilo National Park; and extensive clearance of both tiger and orang-utan habitat. Greenpeace says Wilmar is known to own, have a significant stake in or trade with most of the producers it has documented as engaging in such irresponsible or illegal activities. This is evident from the fact that total Indonesian biodiesel production for 2012 was only 1.9 million tonnes (2.21 million kl), according to Indonesian government data. See Development of Bioenergy Utilization in Indonesia, Powerpoint presentation by Dadan Kusdiana, Directorate of Bioenergy, March 27, 2013. The other companies were: PT Ciliandra Perkasa, PT Musim Mas Medan and PT Pelita Agung Agrindustri. See table. Sampai Agustus, ekspor biofuel 492,000KL. Kontan 20/Sep/2013. Deputy Trade Minister Bayu Krisnamurthi was quoted by the Indonesian media group Tempo as saying that Europe was Indonesia’s largest export target because the EU nations had obliged their citizens to use biofuel for their vehicles. (‘EU to drop charges against RI Biofuel Subsidy, 16 August, 2013). PT Ciliandra, one of the four main exporters of biodiesel to the EU, for example, says in its 2011 sustainability report that the RED provides an opportunity to produce certified biodiesel. International Biodiesel Markets: Developments in production and trade. Patrick Lamers, UFP/Ecofys, 2011. The higher figure of 1.09 million tonnes for total imports to Europe is given in the Jakarta Post, quoting Eurostat data: see Jakarta Post ‘Anti-dumping tariffs severly hurts exports’ 1/Jun/2013. Development of Bioenergy Utilization in Indonesia, Powerpoint presentation by Dadan Kusdiana, Directorate of Bioenergy, March 27, 2013, quoting KESDM data. The conversion from kl to tonnes is calculated by DTE on the basis that 1 kl=0.88 tonnes. Mapping and Understanding the UK palm oil supply chain, Proforest, DEFRA, April 2011. The EU Biofuel Policy and Palm Oil: Cutting subsidies or cutting rainforest? Ivetta Gerasimchuk &Peng Yam Koh, September 2013. GSI/IISD Research Report for FoE Europe (2012/2013, two different sources quoted). Here, ‘palm oil’ means crude palm oil (CPO) and doesn’t include palm kernel oil (PKO). Based on business-as-usual scenario, IISD shows palm oil imports for making biodiesel rising to 2.3-2.9 million tonnes by 2020. The EU Biofuel Policy and Palm Oil: Cutting subsidies or cutting rainforest? Ivetta Gerasimchuk &Peng Yam Koh, September 2013. GSI/IISD Research Report for FoE Europe. See The EU Biofuel Policy and Palm Oil: Cutting subsidies or cutting rainforest? Ivetta Gerasimchuk &Peng Yam Koh, September 2013. GSI/IISD Research Report for FoE Europe. It was sold to Cargill in 2005, See http://www.downtoearth-indonesia.org/story/brief-dte-67-november-2005 which then sold it on to Wilmar. Indonesia: the Governor of Jambi Province must take action to tackle unscrupulous conduct of palm oil plantation PT Asiatic Persada, 7/Oct/2013, Press Release by Setara Jambi, Sawit Watch, FPP, Perkumpulan Hijau, CAPPA. Addressing systemic problems with Wilmar International, letter signed by FPP, Sawit Watch and 8 other CSOs, addressed to Meg Taylor, CAO/IFC, Washington DC, USA, 7th March 2012. ‘Bentrok Warga Pantap vs Satpam Wilmar Buntut Konflik Lahan Berlarut’, Sapariah Saturi, Mongabay Indonesia, July 28, 2013. For details see Conflict of Consent? The Palm Oil Sector at the Crossroads, A study on the right to Free, Prior and Informed Consent in PT Mustika Sembulu, Central Kalimantan, by Sophie Chao, Agustinus Karlo Lumban Raja, Fandy Achmad Chalifah and Ratri Kusumohartono, FPP, WALHI, Sawit Watch, November 2012. Earlier this year the company announced a joint venture to develop oil palm plantations in Papua with the Noble Group, but the plans were cancelled when months after it was announced, as it failed to secure approval. ‘Wilmar says plan stalled as not approved by authorities’, Reuters 23/Jul/2013.